Robert Pattinson is attached to play the lead role in Claire Denis’ upcoming English-language sci-fi film, written with British writer Zadie Smith. 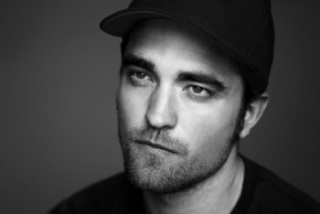 Pattinson is set to play the astronaut lead role in the as-yet-untitled film, which Screen first reported on in June. Plot details are being kept under wraps but it is known to take place beyond the solar system in a ‘future that seems like the present’. Denis is writing the script with acclaimed novelist Smith (White Teeth) and Smith’s writer husband Nick Laird. The project, which marks an intriguing change of direction for the White Material and Beau Travail writer-director, is based on an original idea by Denis and her regular writing partner Jean-Pol Fargeau, and is due to go into production early next year. Producers are Oliver Dungey (Miss Julie), Laurence Clerc and Olivier Thery Lapiney from Paris-based Alcatraz Films, and Claudia Steffen and Christoph Friedel of Pandora Filmproduktion in Cologne. Alcatraz and Pandora produced Denis’ most recent feature Bastards, which debuted at Cannes in 2013. Denis regulars Wild Bunch are handling international sales while Des Hamilton is casting the project, which is currently in advanced development, and is expected to partly shoot in studio in Cologne. Collaborators on the film also include Danish-Icelandic artist Olafur Eliasson, known for his Tate Modern installation The Weather Project; astrophysicist Aurélien Barrau, known for his work on black holes and cosmology; and Stuart Staples of indie band Tindersticks, who previously provided music for Denis titles including White Material and 35 Rhums. The news was first reported on French site L’Express.